Get growing with the University of California Cooperative Extension Master Gardener program! 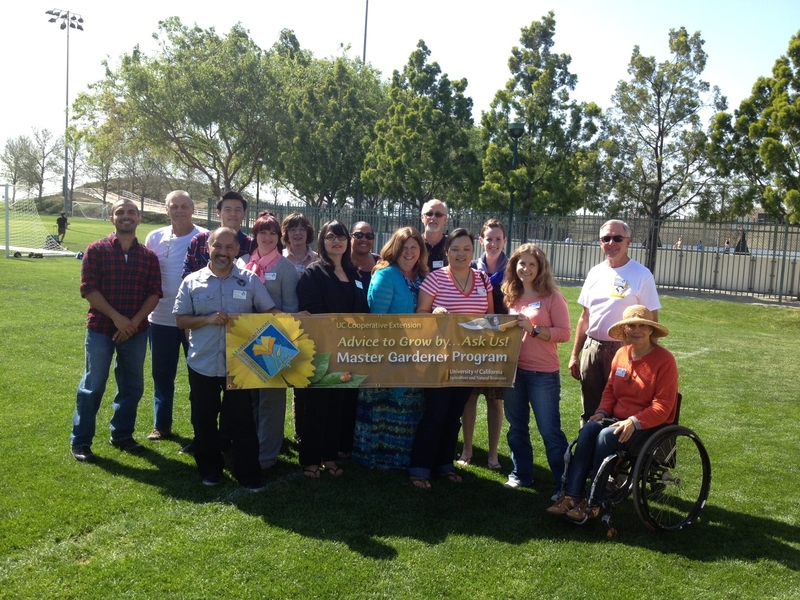 The Master Gardener program provides instruction in state of the art gardening information. It is open to individuals who wish to increase their knowledge and horticultural skills. In return, Master Gardener contribute 50 hours of approved volunteer time to promote best gardening practices in the community. In subsequent years, Master Gardeners get advanced training and visit unique garden and agricultural sites. They also continue to provide the community with volunteer activity. Master Gardeners - we're just like you. We're teachers, business executives, parents, retirees, students...you name it. But the one thing we all have in common is GARDENING and our dedication to teaching the home gardener about sound horticultural practices that focus on sustainability. The more volunteers we have, the bigger impact we can all make. Together. You are invited to a free Master Gardener Information Session to learn more about the Master Gardener Program and to find out how to apply for the Master Gardener Program Trainee Course starting on January 10, 2015. The Information Session is at the Big Bear Discovery Center on October 11th, from 9am to 11am. Mountain residents will be given the option to do the Master Gardener online course.